Cowford, or Cow Ford, is one of those places that every local knows but beyond that, one might not even find it on a map. A few places in Georgia use the term to indicate a place where cattle crossed a stream or a river. 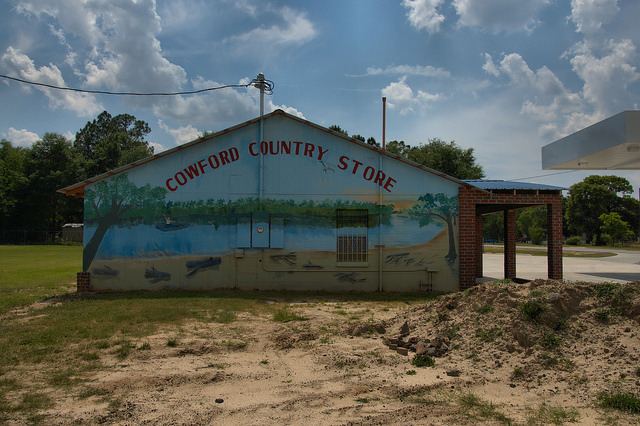 This is near the Tattnall County Landing and over the years has supported several small country stores. Three years ago, it looked quite different.